The Adventurer's Guide to Dragons (and Why They Keep Biting Me) | YAYOMG! When we found out that The Adventurer’s Guide to Successful Escapes was getting a sequel, we all but squealed! We loved the first one and being able to see Anne, Penelope, and Hiro head back to Saint Lupin’s Quest Academy for Consistently Dangerous and Absolutely Terrifying Adventures and take on another thrilling adventure definitely had us excited. 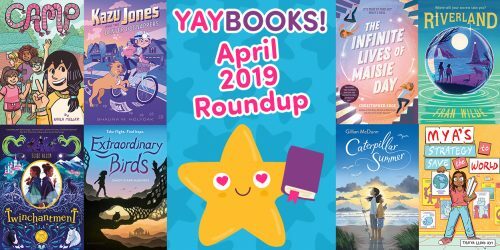 With book two in our hands, we dove in immediately to devour this new story that features robot attacks, dragons, a suspicious new member of the team, and all the laugh out loud moments you’ve come to love from the first series. 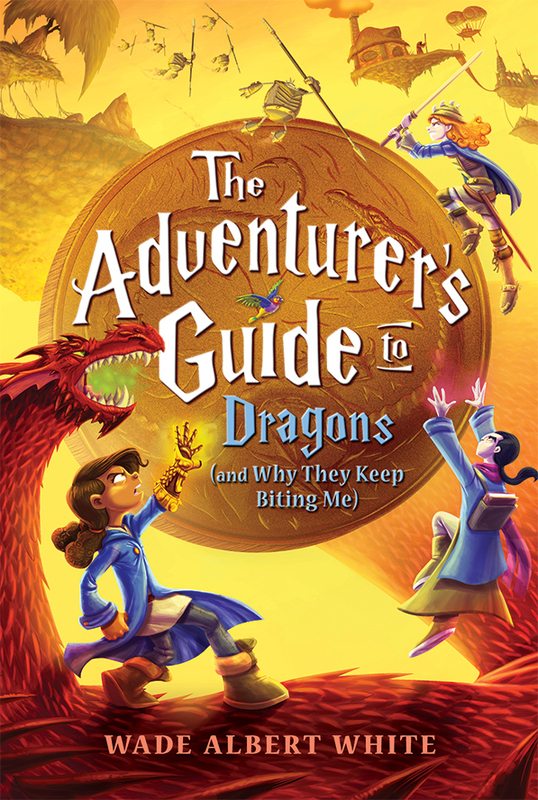 We’re not going to lie – The Adventurer’s Guide to Dragons (and Why They Keep Biting Me) might be even better than the first! 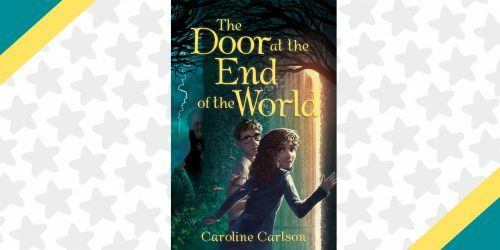 This is the type of fantasy book we love – where even though everything is totally impossible, the characters feel so real, it’s fast-paced, and keeps us both laughing and wanting to turn the page the whole way through. The Adventurer’s Guide to Dragons kicks off with Anne getting ready to meet up with Pen and Hiro at the annual Quest Academy awards. They’re up for an award for their daring first quest and are on their way to attend the award ceremony. Anne is excited and proud to be nominated, but a bit on edge and being extremely cautious of her gauntlet glove – the thing that got them into this situation in the first place. Sure, their surprise quest won them an award, but it was activated completely on accident and was totally dangerous, nearly destroying the entire world. Not ready to activate another quest, Anne is trying her best to be careful. When a duel breaks out before the event begins, Anne sets down her gauntlet and it’s stolen by a suspicious boy in a red cloak. 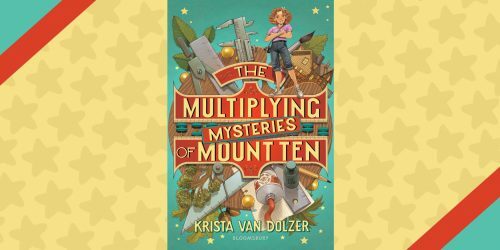 Anne and her friends race to get it back, but in the end, another quest is activated, and it’s a doozy. Their mission? Kill the dragon queen. This mission isn’t just dangerous, it’s also illegal and has the potential to start a war between the dragons and the humans. Not wanting to kill a dragon or start a war, Anne, Penelope, Hiro, and a mysterious new student named Valerian must work together to figure out a plan. Get ready for an even bigger adventure than the first with lots of secrets to uncover, exciting plot twists, and so much action you won’t be able to put it down! Plus – you’ll get to find out a bit more about Anne’s mysterious background. If we had to compare, we’d say that this series is like Harry Potter (minus the wizards) and written by the author of the Hitchhiker’s Guide to the Galaxy, with sharp wit and clever jokes sprinkled throughout every page. It’s a heartwarming and totally whimsical fantasy adventure and we definitely recommend this one to anyone looking for a great story. The Adventurer’s Guide to Dragons does a great job standing on it’s own – you can get by without reading the first, catching up as you go along with important tidbits referenced here and there throughout the story. We have a feeling you’ll definitely want to see how it all started, though, so we’re suggesting you pick up a copy of The Adventurer’s Guide to Successful Escapes when you get a chance. This series really shines and we’ve got our fingers crossed for a Book 3! The best word to describe this series is FUN! Get ready for dragons, robots, and an even more dangerous quest in the sequel to The Adventurer’s Guide to Successful Escapes! Anne, Penelope, and Hiro have returned to Saint Lupin’s Quest Academy for Consistently Dangerous and Absolutely Terrifying Adventures, where there’s only one way to leave: pass or fail. At the annual Quest Academy awards, they’re recognized for their success in their first outing-Best Illegal Quest That Nearly Destroyed the Entire World–but a strange boy steals Anne’s gauntlet and activates a new quest that pits them against all of dragonkind. Their charge: kill the dragon queen. The problem is, Anne doesn’t want to kill any dragons! But ignoring a quest can have horrible consequences, just as killing the dragon queen would start an all-out war between people and dragons. To avert disaster, Anne and her friends will have to dodge robot attacks, defeat new foes, and survive the dangerous dragon trials just for a chance to explain. 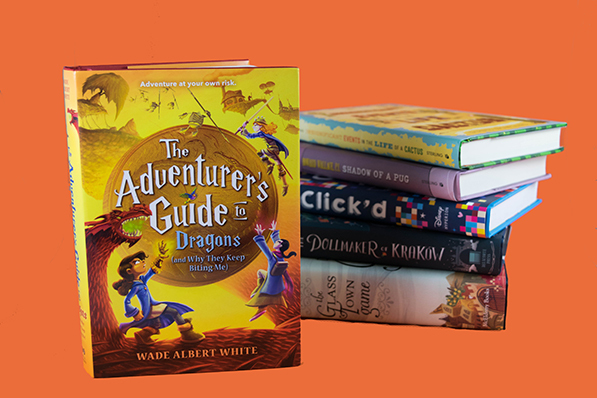 With charming, funny text and lots of heart, The Adventurer’s Guide to Dragons is the perfect read for anyone who likes fantasy with lots of laughter. 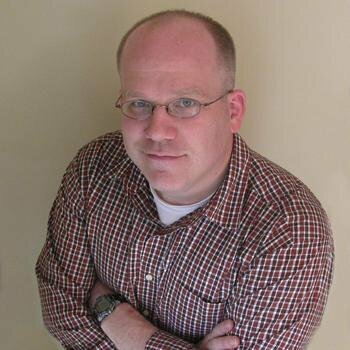 Wade Albert White hails from Nova Scotia, Canada, land of wild blueberries and Duck Tolling Retrievers. He teaches part-time, dabbles in animation, and spends the rest of his time as a stay-at-home dad. It is also possible he has set a new record as the slowest 10K runner. Ever. He owns one pretend cat and one real one, and they get along fabulously. Thanks to the team at Rockstar Book Tours for setting everything up, providing a copy of the book, and allowing YAYOMG! 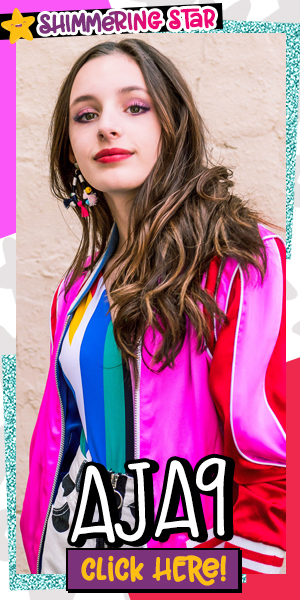 to participate in this fun event! To check out the other stops on the tour filled with author interviews, book excerpts, and even more great reviews, click here!